Everything we do today weaves a path of intricate connection to what will be possible for us tomorrow and beyond. This moment now is connected to infinite opportunities. 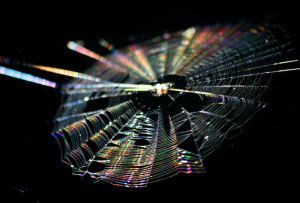 Spider speaks of finding options from within and creating paths that will pull our desires to us. She lives simultaneously in the horizontal dimension of time and space and the vertical dimension of stillness. She crafts elaborate designs of a fragile, almost invisible nature. Spider has learned that power is a matter of self possession rather than size or physical strength. But she is a medicine of poison which must be studied with respectful caution and used sparingly. Spider (Iktomi) is an ancient elder. Evidence in amber fossils date her presence on Earth as far back as 140 million years ago. The figure-eight shape of Spider’s body describes a living infinity of light and dark energy that speaks of the fundamental forces of the planet. The infinity symbol she embodies could easily suggest a closed system of a cyclical nature, a dark medicine indeed. But within the center of that finite cycle emerges a single strand of endless silk that cuts through circular patterns and connects her to new perspectives. Spider does not hunt. Rather, she spends all her energy constructing a tool that will bring the world to her. She builds and waits. This patient calculation has earned her a mythic archetype in the human psyche which speaks of a disturbing amount of self-possession and independence. Spider is a loner. Her energies are not for social endeavors. Her teachings arrive when it is time to leave the comforts of team dynamics and do the personal work within that will lead to mastery. When she drops from the rafters, it may be time to find a corner and improve your craft in private. The World Wide Web is the most extraordinary example of this weaver’s medicine. In the past the human brain functioned as the only storage space for factual information. Elaborate techniques for memorizing long lists of data were constructed by ancient cultures. Those mental efforts ultimately produced an external tool that enables global access to limitless volumes of data at almost the speed of thought. The Web allows the human experience to now shift away from rote memorization and towards an as yet unexplored mental frontier of subtle energies. Now that we have factual answers at our finger tips, Spider medicine suggests that we explore, on a collective scale, the frontier of intuition and inner presence. There is a vertical dimension to Nature that need not be measured or classified scientifically. Humans now have the opportunity to shift our horizontal “intellect” into a larger understanding of vertical intelligence. We are now being asked to process life in a way that will weave a new definition of wisdom. But Spider also advises that we not give into the inertia of easy access. Human technology is a force of nature spinning forth from the center of our imaginations. Our psycho-spiritual management of the tools we create determines our success or failure. How do we relate to the World Wide Web of data we have created? Does it serve as a masterful expression of architecture from which to know the world, or does it catch and entangle us into compulsive behavior of buying and bitching? 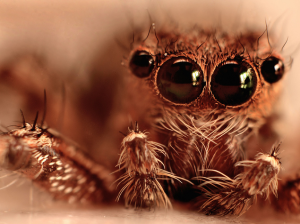 Spider medicine also asks us to remember that immediate access to facts and figures can have negative consequences to short-term memory functions. Over time, a diminished short term memory could have dangerous repercussions for a species who has externalized its global source of knowledge. The true reality of the planet is not digital. It is dirt and stone. Spider warns us to keep our brains connected in a physical way to the stuff of life. Find things to commit to memory, from poetry to mathematical formulae to types of edible flowers. Keep up a life-long personal study of the physical world. Daily short-term memory exercises challenge the brain and keep it’s abilities sharp. Do you know the phone numbers of your loved ones by heart or are they programed into auto dial? Spider medicine knows that information, like fragil webs, can be swept away with the brush of hand. In matters of love, Spider really shouldn’t be invited in. Her medicine is of a sharp and ruthless nature that should never be aimed at the heart. 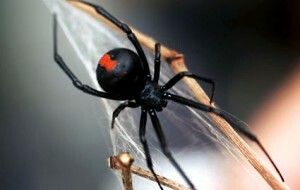 If you have a flat tire call on spider’s calculation to find a way out of that fix. If you are at the ballet with a new friend, best leave spider in her corner. Many relationships are injured beyond repair when the exacting destruction of Spider creeps into arguments. She strikes deadly blows. Arguments between loved ones may be unavoidable. But when conflicts do arrise, the highest message of Spider suggests that you be aware of any sense of detachment creeping into your communication. Going numb and forgetting your connection to the person you are trying to communicate with can break the delicate bond between you. If spider’s destructive impulses have crept in, resist the urge to strike out. Remind yourself that the loved one before you is part of your own heart. It could often be more useful to describe the destructive impulse in you rather than act them out in a torrent of cruelty. Better to fold your arms, glare and say, “I really want to hurt you right now!” than to really do it, verbally or otherwise. Telling someone you want to hurt them doesn’t actually hurt them. It separates you both from getting trapped in a tangle of violent reactions and allows a bit of space between you and your efforts of communication. Spider teaches that you have an infinite dimension within from which to access new answers and maintain cosmic connections of the heart and mind.